Why all the excitement about the emerging $7.1 Billion Cannabis Industry that according to Forbes magazine will hit $22 Billion by 2020 and blow past $50 billion by 2026? CBD products are being used worldwide and customers get instant, life-changing results with this miracle plant. Before CBD, doctors had not the slightest clue about how to treat epilepsy. When my daughter was having seizures back in 1985 the doctor admitted that no one had any idea whatsoever what to do but that phenobarbital was prescribed to reduce activity. Phenobarbital is used on death row to kill people. Instantly after taking the evil drug, my daughter walked like she was drunk and lost bladder control. Today, any doctor with a brain knows that just a few drops of cbd oil under the tongue can stop a seizure in seconds. In many cases, perhaps most, a person having hundreds of seizures a month will have none a month or only perhaps one or two after taking cbd oil. So instead of a doctor attempting to kill your child, they now know what actually helps. The really incredible thing about cbd is that research was illegal until recently. There are many reasons why. All of which are stupid, unconstitutional, against God, morally wrong, and the result of a police state. The human body as well as all mammals have cbd receptors. These receptors are factual and can not be denied even by the most Satanic. The receptors have one function and one function only: Find cbd to aid the brain, immune system, and other parts of the body. Who put cbd receptors in the body? Answer: God. Why? To enable the body to heal itself as God intended from the very beginning. In other words, God created cbd as well as receptors to utilize it. Therefore anyone against cbd is against God. Pretty simple actually. Why would anyone be so against God and absolutely do everything in their power to stop children from enjoying life, you might ask? Big Pharma can not patent a plant. Especially one that grows like a weed and can grow in almost any climate. Highly profitable diseases like cancer and epilepsy make doctors, pharmacies, and drug companies a lot of money. Theirs is not to care if you live or die, but how much money can they make on you before you die? How many conditions can cbd help? All of them. Including a skinny wallet. Can you make your own cbd oil? Yes, but you might get arrested. Remember that cops don’t care if your kids live or die either. 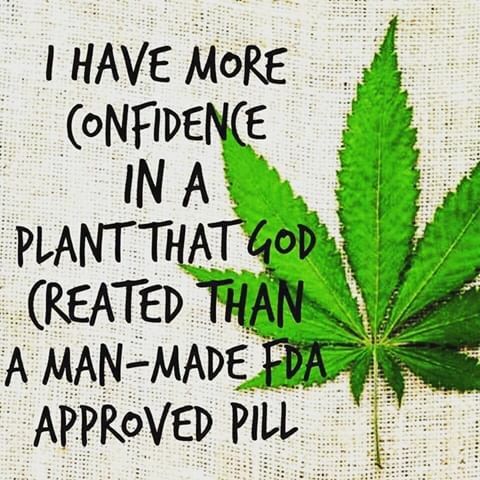 They also couldn’t care less about God creating cbd and expecting you to be able to take it freely without a gun and handcuffs being involved. Remember that it was New York Police that ordered over 2000 people to their death on 9-11. These people were 100% safe from everyone but the police. The people were already out of the buildings and out of harms way. They were thanking God for their lives. This angered police who then ordered them back into the buildings. The people did not want to go in the buildings as they were afraid. Police said Jail , Death, or back in the buildings. So the people went back in. Then the buildings fell exactly on their own footprint. I said at the time out loud “That is the best implosion I ever saw”. Enter Donald J. Trump. The President that all Disciples of Satan love to hate. He signed the Farm Bill. It removed hemp from the controlled substances list. It made hemp a legal national crop. Now farmers in Kentucky can grow hemp instead of tobacco. Of course, the Satanists love tobacco because it kills. They hate hemp because it heals. Just last week Idaho State Police stated they had made the largest marijuana bust in history. A semi trailer load. Thing is, it wasn’t marijuana. It was hemp on the way to become cbd oil. The cops said they don’t care because it looks like pot and smells like pot and is illegal in Idaho regardless of whether Trump made it legal in the United States or not. This is the low IQ responses to God’s creation. When a cop says something stupid like “I will not allow God’s creation on my watch” it is as ridiculous as a Judge declaring that she will not allow the United States Constitution to be discussed in her Court, as Judge Navarro did in the Ammon Bundy case. So what is the big deal about CBD Oil? I suppose it depends on which side of God’s fence you are on. Are you for freedom and love children like Jesus? Or do you believe in a police state like Lucifer? There were Satanists in the government that wanted to shut down anyone marketing cbd. Their attitude was: “The last thing we want is anyone keeping children from suffering.” They hate children. They hate God. They actually closed down some health food stores and jailed the owners for doing God’s will. My Daily Choice allowed the government to test their cbd and became the first cbd company with government tested product. Josh Zwagil, founder of My Daily Choice is a smart man. You can NOT get high on cbd oil made from hemp. While hemp does contain as much as three tenths of one percent THC (.003), it has been deemed safe and legal. In ALL 50 states. Well, unless the state hates God which a couple do. Cops, FBI, DoJ, NSA, CIA, etc. all take an oath to defend the Constitution of the United States. Lying Bastards! These are the people trying to get rid of Trump. The first patriot president since George Washington except for Reagan. They know cbd is good and that Trump had no collusion with Russia. Truth has no place with a dedicated Disciple of Satan. The benefits of cbd are too numerous to mention and can not be refuted. But cbd doesn’t just separate the Godly from the Satanist. I haven’t had a charlie horse in months. Not since I started putting a few drops of cbd under my tongue. And I quit taking my sleeping pills to sleep. I sleep fine now that I take cbd. Sleeping pills are bad for you. I asked Google about my prescription and was appalled. Psychotic brain destroyer. Now a person with some sense might simply declare that man does not have the authority to make God’s creations illegal. God made rattle snakes and they can be harmful if not treated properly but there is no need for them to be illegal. People that believe in a police state argue with this. Of course, if one had to use a single word to describe the difference between Jesus and Lucifer, the word would be freedom. Have you ever Googled “Does cbd kill cancer”? There will be hundreds of thousands of results on that search. People risk going to prison for telling the truth. If you say that any herb cures anything, you are at a minimum practicing medicine without a license. Of course the very definition of license is the government confiscating a right and leasing it back as a privilege. I suppose that is why the Satanists voted for Hillary. Her morals and values so closely represent their own. None. Imagine this: Jesus walking around downtown Nazareth and coming across an epileptic. He places a few drops of cbd oil under the child’s tongue and the child is healed. Now, we know that Jesus doesn’t need cbd oil to do miracles. But the result may be the same. God gave us cbd oil to tide us over ’till Jesus comes back. So what’s the big deal about cbd oil? Take this free tour and discover if you should be in the cbd business. CBD has already made several millionaires. Maybe you could be next.